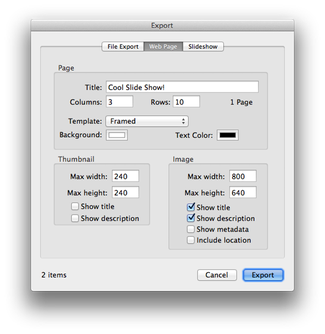 Once configured, click Export…and then navigate the Save dialog to find a spot to store the slideshow. 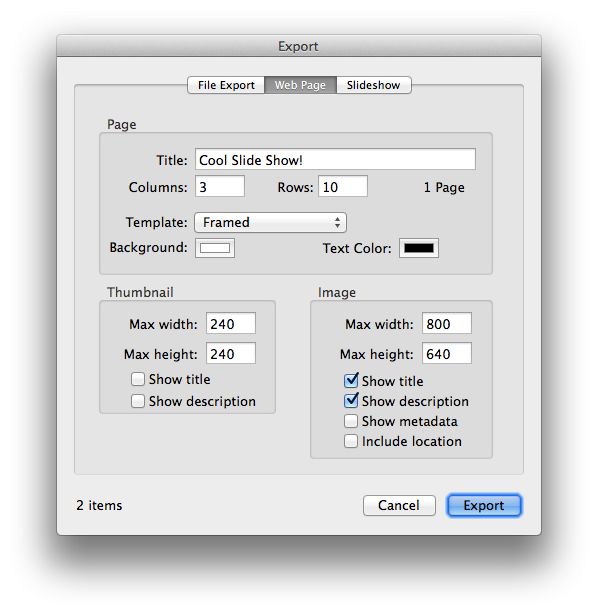 Click OK to get out of the navigation dialog, and now you’ve got the slideshow…on your Mac, at least. You’ll now have to find somewhere to upload the slideshow…somewhere like Dropbox, perhaps. But if you’re going to do that, you can save a bunch of time and needless HTML/CSS files by just uploading the images directly to Dropbox. As an added bonus, I think the built-in Dropbox slideshows look much nicer than those exported from iPhoto. Back in the day, iPhoto used to let you share a slideshow to a mac.com URL, as I recall. Today may be all about Photo Streams and iOS devices, but there’s something to be said for the utter simplicity and flexibility provided by sharing a slideshow via a URL. There is no “Right-Click Create Album” option. 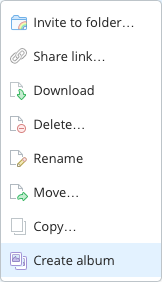 Sadly, Dropbox removed this feature last summer. I’ll add a note to the blog post; thanks for the heads-up.